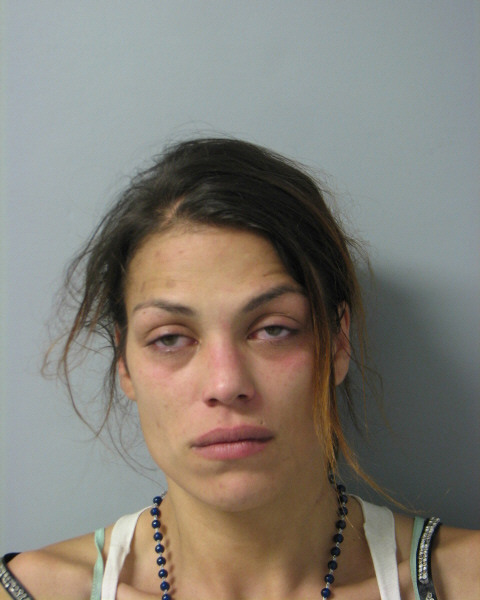 Amber Fusco, 29 in an August 2017 mug shot provided by the South Burlington Police department after police discovered Fusco slumped over the steering wheel of her vehicle in the Hannaford’s parking lot. She allegedly had her infant child in the vehicle with her at the time. Federal Agents say, Amber Fusco, 29, of Richford and Jennifer Bessette, 33, are wanted in connection with a pair of bank robberies in Virginia. According to court records, Bessette and Fusco met a Virginian, Andrew Welton in Burlington and cooked up a scheme to travel to the Commonwealth to rob banks. The clerk that Fesco allegedly gave the note to, told Fusco that she did not have that much cash. The clerk handed over more than $1,000 in cash and fled on foot. That teller allegedly handed over more than $4,400 in currency, which included a GPS tracker. As police responded to the scene, they received information on the whereabouts of the GPS transmitter and noted that it was traveling away from the bank. Police shut down a toll plaza and began making contact with each driver. One of the vehicles that police stopped, was a silver Ford Fusion, driven by Andrew Welton, according to police. Inside the vehicle was a man, woman, and infant. Because police did not believe that a family would be involved in the bank heist, the vehicle was waived through the checkpoint. Soon afterward police received word that the GPS tracker was on the move again, and had been allowed to travel through the roadblock. A short time later, police were able to stop the vehicle, but by that time the woman and infant had fled to an unknown location, according to records. Police searched the vehicle and found $4,000, the GPS tracker, two pieces of jewelry with their price tags still on them, and a ski mask, and a cell phone. According to Welton, he met Bassette and Fusco in Burlington, Vermont where the two women brainstormed the idea of bank robberies in Virginia. Last week, Fusco was interviewed by law enforcement officers, where she admitted to being a part of the bank robberies, according to court records. “Fusco identified herself in the surveillance photo as the subject of the BB&T bank robbery,” Robert Sayegh, Special Agent for the FBI wrote in a description of the admission obtained by the County Courier. According to that admission, Bessette was the getaway driver for Fusco, initially, at least until they could get to Welton who was parked a few blocks away. The two women are being charged with two counts of bank robbery, aiding and abetting a bank robbery, and one count of brandishing a firearm during the commission of a felony. Fusco has a previous criminal history in Vermont and is currently on probation for cruelty to children, assault on a police officer, and simple assault, according to public records. Bessette was arrested and is currently being held at Chittenden County Correctional Center in South Burlington, according to public records. Fusco has yet to be located. Welton is currently being held at the Richmond (VA) county jail.